Standalone VR,No Need Phones. You can watch movies online, and download many Apps, games and movies. 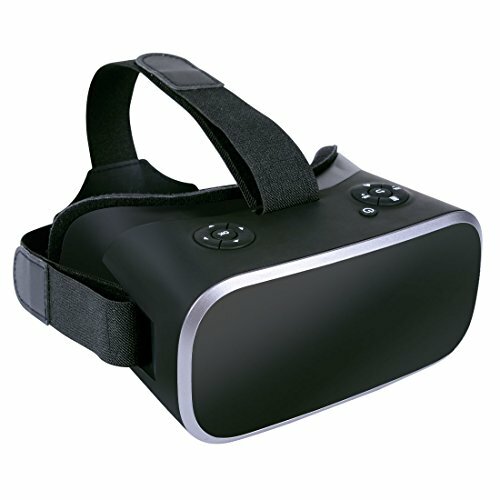 Games & Apps: 3D vr glasses no phones needed,You can download many apps (NIBIRU system 2D/3D app, Google play, Youtube, Third party app compatible with android system),experience the immersive, fun and exciting world of VR headset. Easy PD Adjustable:That's why our Google cardboard offers pupil distance adjustments wide FOV to expand the viewing angle and perfectly match focal distance and take care of your eyes. 2D/3D/ Panorama models : There are 2D/3D/ Panorama models for films. Enjoy 360 degree panoramic videos and photos, watching 3D IMAX movies in your private theatre,through WiFi and Bluetooth. Comfortable and Adjustable Headstrap : The strap is adjustable so you can adjust the straps to get just the perfect fit, which will makes you feel much more comfortable when enjoy movies and games. TF Card : This VR headset supports to plug a TF card then you can enjoy many videos you wanted. Please make sure the TF card in good condition, or the VR headset cannot play videos.